Slideshow videos are the best way to show off your entire album. Moreover, it is a great way to send photograph’s to your close ones by just creating a single video file. You can either email that video to anyone or simply upload it on YouTube. To create a Slideshow, we usually depend on online or offline software’s which usually creates a flash file and you can’t upload it on YouTube or simply play it using a media player. With a Slideshow video, you can simply play it with any media player of your choice. Recently while working on a breakdown video of a visual effects shot, I noticed an option in After Effects while importing photographs which automatically aligns the images in a user defined time or frames interval and applies a transition effect on it. 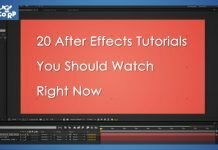 I am working with After Effects from past 4 years but I noticed it now. 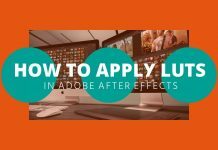 That’s why I keep on saying to all aspiring After Effects learners to experiment with the software as there are number of things you won’t find online. Another thing I would like to mention here is the difference in importing multiple Images in sequence and importing them in a user defined time or frame intervals. 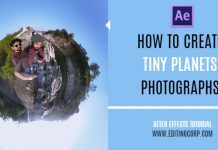 When you import a sequence, all you photographs are offset by just a frame, but to create a slideshow video, you want your images to scroll automatically in intervals of 2 or 3 seconds. 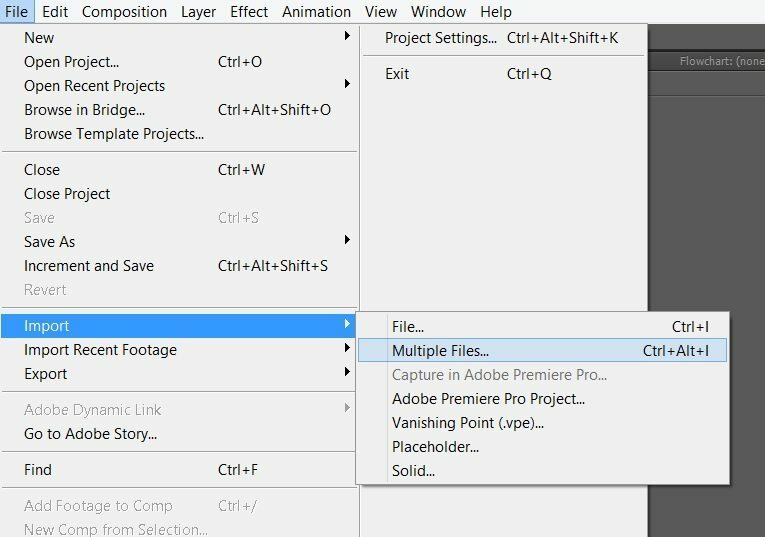 Importing a Photograph or multiple images in After Effects is easy, you just need to go into File > Import > Multiple Files. 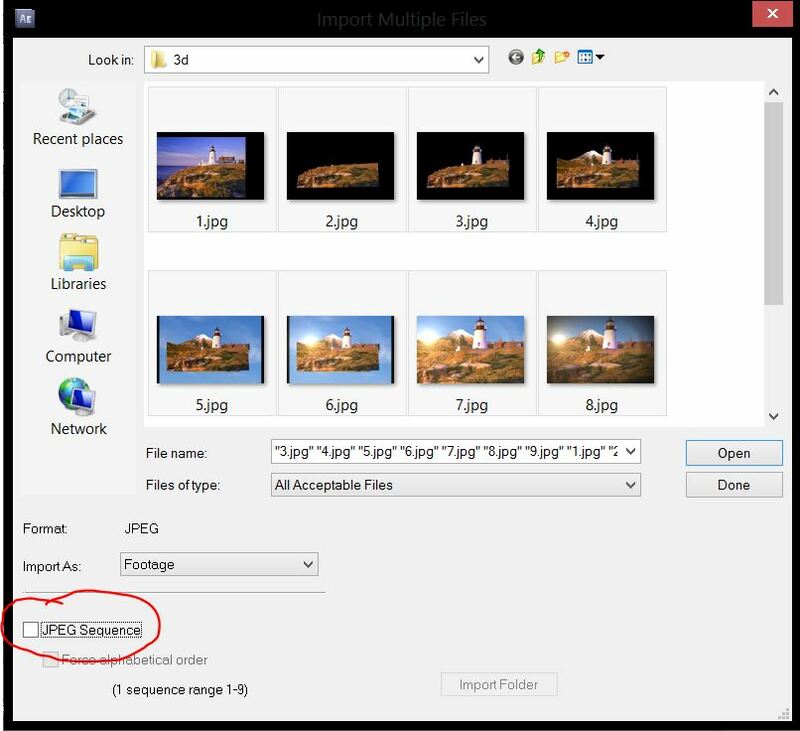 We are using Multiple file options since to create a slideshow we need to import more than one image file. When you click on the Multiple Files options, File browser window will appear, you have to navigate to your image directory from where you want to import the image files. 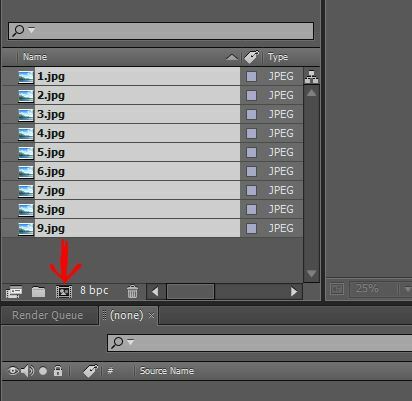 Select all the images you want to import, then at the bottom left corner, un-check the JPEG sequence option since we do not want to create an image sequence. 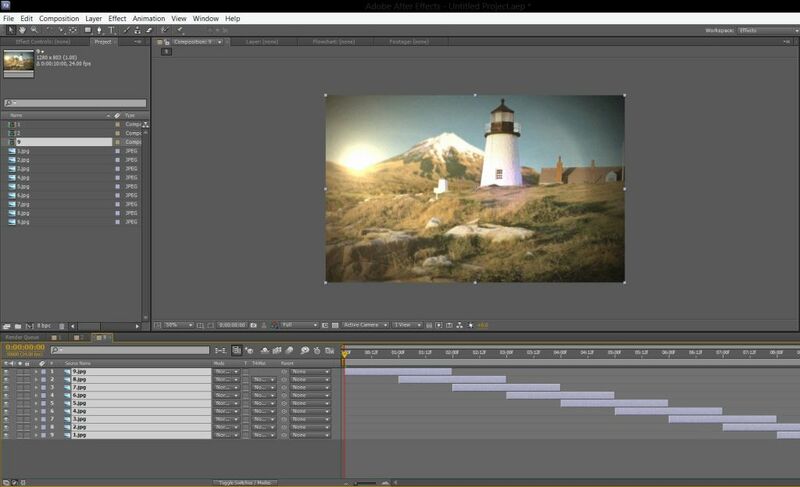 Click on Open and all your images will be imported into After Effects. Once you have your Photographs into the project panel, We need to create a new composition. For the Slideshow to work, you have to create the composition by selecting all your images and dragging them on the small ‘Create a new composition‘ button. As you drag and drop the image files, a settings window will appear. 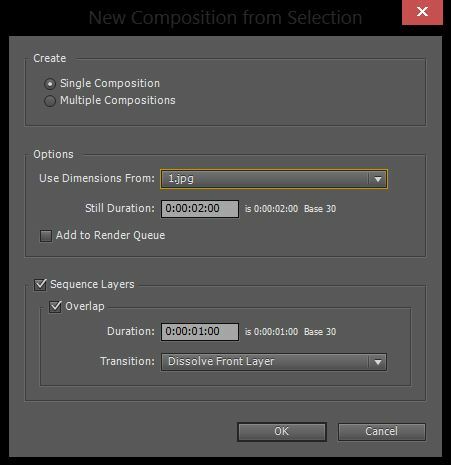 Make sure you are creating a Single composition, then enable the sequence layers and overlap by clicking on the check boxes. Under overlap settings, you can enter the duration between 2 images, then set the transition to ‘Dissolve Front layer‘ or ‘Cross Dissolve Front and Back layers‘. 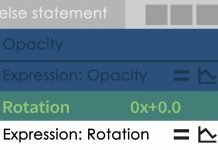 If you don’t want any transition effect, simply turn it off. After that, click OK and a new composition will be created with all your photographs automatically aligned. If you wish to add a Music or a sound track, then import and drop it into your composition. 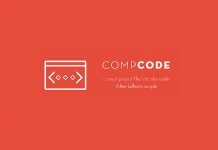 Render out the Project and you’ll have a great looking Slideshow Video. Again, you can experiment with the looks of the Slideshow to make it look more attractive.